What drove the decision to rebrand Henryka? To be honest, we were becoming a break-even business that was just treading water and there was no sign that we could generate any momentum with the existing product range, brand and proposition. We’d become a jack of all trades and a master of none — just another jewellery shop selling a wide variety of pieces to a wide variety of people. We’d lost our way by trying to make a living. So, we undertook some soul-searching through a comprehensive piece of commissioned research that looked at our brand, the market we are in, and the consumers who buy from us. And we changed, because some of the things we heard told us that we needed to. We’re really excited about the future; people are already saying that they love our new look. But we’ve invested in building a brand, not a make-over of our jewellery business. As a brand, we have gone back to our roots: a classic, chic bohemian, nature-inspired look, using silver and hand-cut gemstones. Our look is timeless, classic, youthful and elegant. I suppose in summary, we know who we are now, what our product needs to be, what we want to say and who to say it to. With the company rebrand, how are you positioning yourself in the market? We’re no longer trying to be everyone’s cup of tea. I think we never lost sight of nature as an influence, but I do think we tried to appeal to everyone — teenage girls, mums and their mums. We ended up creating a range that was so diverse in style, applications and cost that it just didn’t work as a proposition to anyone. There’s no doubt that with a more streamlined, fashionable collection, we’ve opened up our market to a younger, aspiring audience – or should I say, an audience who shares this as a personality trait – because our range is timeless, youthful and elegant. 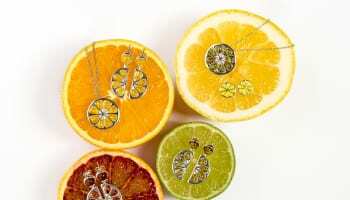 Price is also an area we had to review, which is where we struggled with the teenage market – if you’re buying a dress from Miss Selfridge for £30, you’re not going to splash out on a jewellery piece at the same price or more. Our bespoke, individually crafted and luxury items items are not cheap, but with our larger collections, we wanted everyone to feel they could own a little piece of Henryka. What is your vision for the brand? What is your target for expansion in the next 12 months? Our vision is to become unforgettable. And as far as expansion goes, we’ve got our financial plan in place. We know where we want to be in three years and we’re on the way. 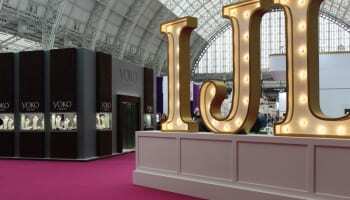 Growth will come through our retail and wholesale strategy and that certainly starts at IJL in September. Our target is to acquire 100 new independent retailers in the next 12 months. But we’re open to discussions with any large multiple retailers if they come knocking. What type of new retailers do you hope will stock Henryka? Well, our style is niche. But it is also timeless, classic and elegant. Our pieces can be worn with any outfits, from everyday – jeans and a top to work – to formal dress wear. Our natural fit will be with the smaller independent retailers that are looking for something a little different. Having said that, we think our brand and product range stands up to anything that’s out there. So, bring on the big guns! 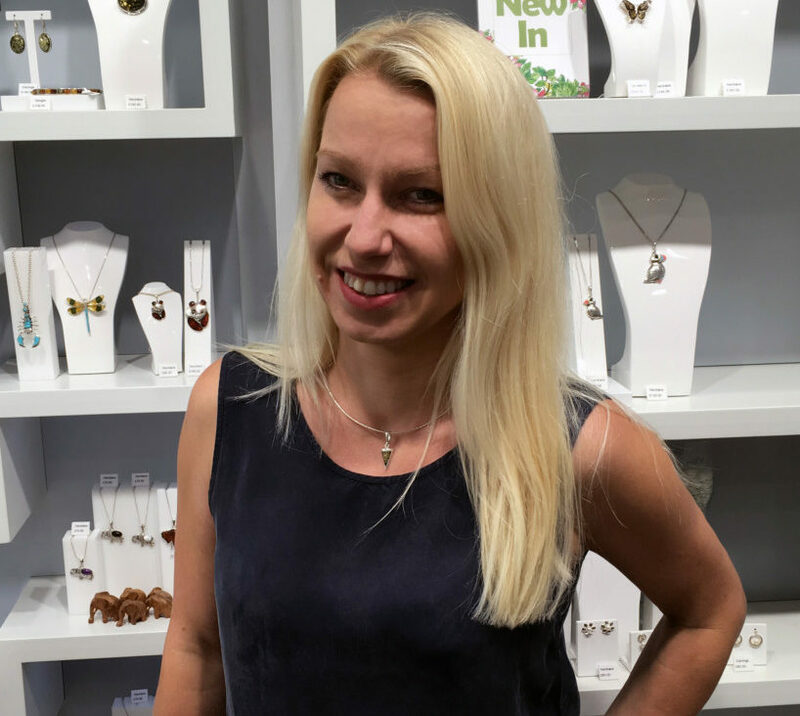 Can you tell us about the new collections launching at International Jewellery London? We can’t wait. The last few months have been tough as we have stripped our product offering right back to what we have called our ‘hero range’ — what we want to be famous for. And it’s this that has helped us create a guide for how our range will move forward. Amber will always have a place in our heart, but we don’t want to be seen as an amber specialist. We’re a hand-picked gemstone specialist, using agate, amethyst and pearl set in silver – nature’s jewels, exquisitely presented. We’re also seriously excited about a new range in blue amber that is about to make an appearance — it’s stunning. How will you support your retail stockists? Our aim is to offer our stockists access to in store POS, display, packaging and advertising. And for those that spend a certain amount with us, we will offer a contribution towards local advertising and promotional activity. This can expand to paid and organic social reach, which will be one of a number of channels we will be using to increase awareness of the brand going forward.